Lucy Tate is on the run. After witnessing the brutal murder of her parents, she's spent five years in hiding -- taking on different personas and faking her way through life. The authorities can't be trusted, so she remains in the shadows, always one beat ahead of the man who is forever hunting her. That is, until she meets Zach Schultz, a senior at Monte Vista High and the one guy she can’t bear to leave. Suddenly her natural instincts to lie, steal, and run are overshadowed by something else...the desire to stay. It’s her one shot at a normal life. Curious by nature, Zach is immediately drawn to the new girl at school. How can a person look both confident and vulnerable all in the same moment? Determined to learn more about her, he tries to get close, but is thrown into a world of lies and confusion .The only thing that becomes apparent is that discovering the truth may get him killed. You're probably bored of hearing how much I love Melissa's books by now, but when you discover such a wonderful author, well you want to share them with the world, right? 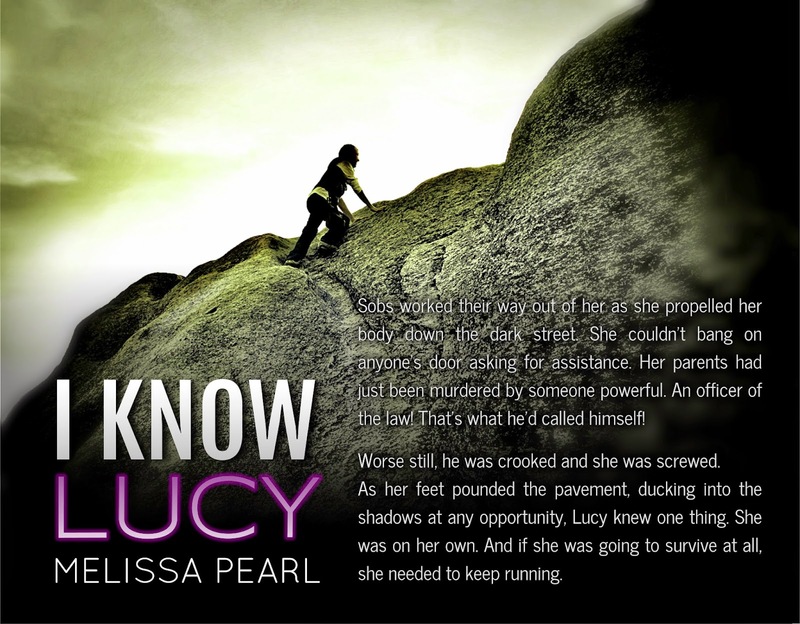 And her latest offering, I Know Lucy, is no different. Written in two different perspectives (which was actually quite refreshing), this tale follows 'Lucy' as she lives her life on the run after witnessing her parents being brutally murdered when she is just a girl. Although there are no 'fantasy' or magical elements in this book (which is what I loved about Melissa's other stories), I have to say that I was equally gripped. I couldn't put it down and was so desperate to find out what was going to happen to Lucy... that I was quite disappointed at the end – only because I needed book two, that is! The actual ending to this first book was quite brilliant but I can't say anything more without giving anything away. You'll just have to read it to find out what was so cool about it. Loved, loved, loved this book! 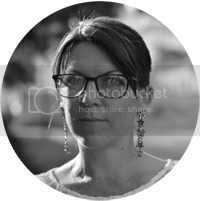 Melissa Pearl was born in Auckland, New Zealand, but has spent much of her life abroad, living in countries such as Jordan, Cyprus and Pakistan... not to mention a nine month road trip around North America with her husband. "Best. Year. Ever!!" She now lives in China with her husband and two sons. She is a trained elementary teacher, but writing is her passion. Since becoming a full time mother she has had the opportunity to pursue this dream and her debut novel hit the internet in November 2011. Since then she has continued to produce a steady stream of books. Recently she signed with Evatopia Press and her first Evatopia book is coming out in February 2014 - True Colors, The Masks Series #1. She is very excited to be trying out new things this year while continuing to publish under her own name as well. She has six books planned for 2014 and is excited about writing each and every one of them. "I am passionate about writing. It stirs a fire in my soul that I never knew I had. I want to be the best writer I can possibly be and transport my readers into another world where they can laugh, cry and fall in love."